It is replaced by the CognitiveTPG A760. The Axiohm state-of-the-art A758 multi function printer features 'single step' automated check processing. It reads the MICR, prints the validation, 'flips' the check, prints the face and presents the check back to the clerk, all in one easy process. The A758's unique front window design allows the clerk to never lose sight of the check. Thermal & Impact, receipt & slip printing, serial interface. Includes auto-cutter, MICR, check flip function & power supply. Order cables separately. See accessories. Thermal & Impact, receipt & slip printing, serial interface. Includes auto-cutter, MICR, & power supply. Order cables separately. See accessories. Thermal & Impact, receipt & slip printing, serial interface. Includes MICR & power supply. Order cables separately, see accessories. Thermal & Impact, receipt & slip printing, USB & serial interfaces. Includes auto-cutter & power supply. Order cables separately. See accessories. Thermal & Impact, receipt & slip printing, parallel interface. Includes auto-cutter & power supply. Order cables separately. See accessories. Thermal & Impact, receipt & slip printing, serial interface. Includes auto-cutter & power supply. Order cables separately. See accessories. Thermal & Impact, receipt & slip printing, parallel interface. Includes power supply. Order cables separately. See accessories. 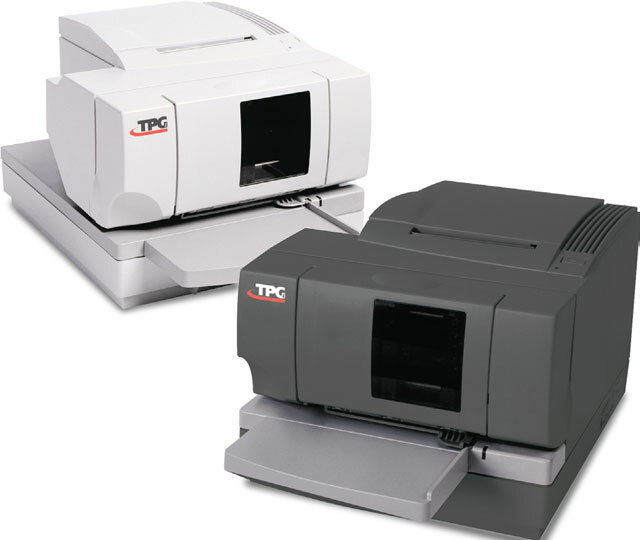 Thermal & Impact, receipt & slip printing, serial interface. Includes power supply. Order cables separately. See accessories. Thermal & Impact, receipt & slip printing, USB interface. Includes MICR & power supply. Order cables separately. See accessories. Direct thermal, 80 mm (3.125"), Receipt/Imp SLIP/VAL, Knife, Serial, Power supply. Color: Beige.